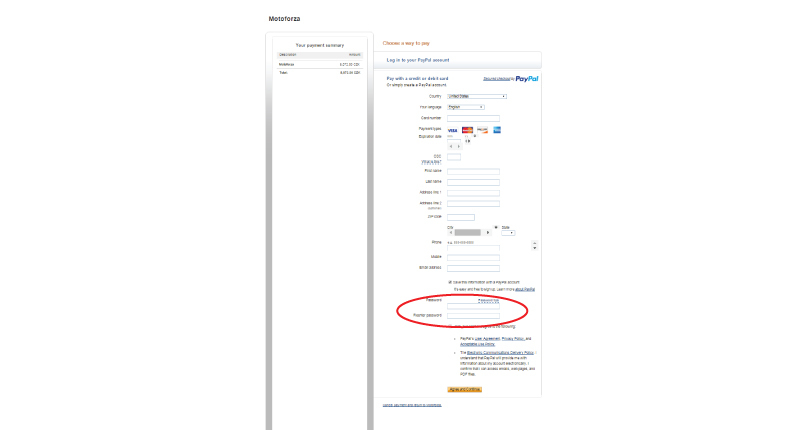 a) In the event that you already have the registration, log in, using the login information (username, password) in the upper right corner of the homepage. b) in the event that you are with us for the first time, do not worry. 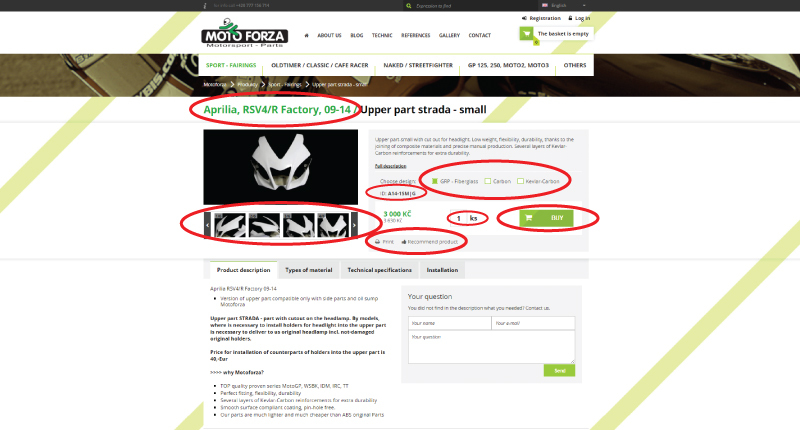 You can register directly on the home page or after the selection of components in step 5.
c) in the case, that you buy as a company, please create registration before purchase and fill in all the necessary information about the company or use the "customize" button (in step No.5). ATTENTION: If you are VAT payer in the EU, it is necessary to fill a valid VAT number (must be in correct format, which starts with country code, for example: "DE……..", otherwise the VAT will be invoiced. 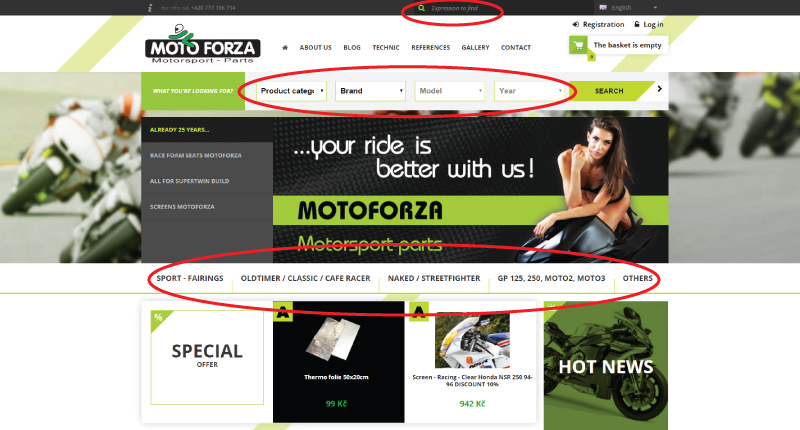 We recommend this for the easiest search: go to the homepage, select brand and model of motorcycle (the year), or choose different category, from which you want buy the parts. 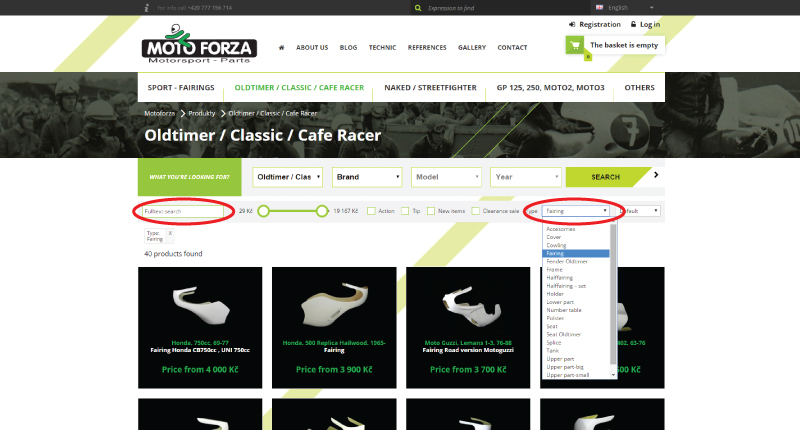 If your selection does not match any of the categories, you can choose the universal parts, or others at category filter. After filling all desired parameters, the system will load the parts. Select your desired product, click on it to see the details. It shows all your chosen components. 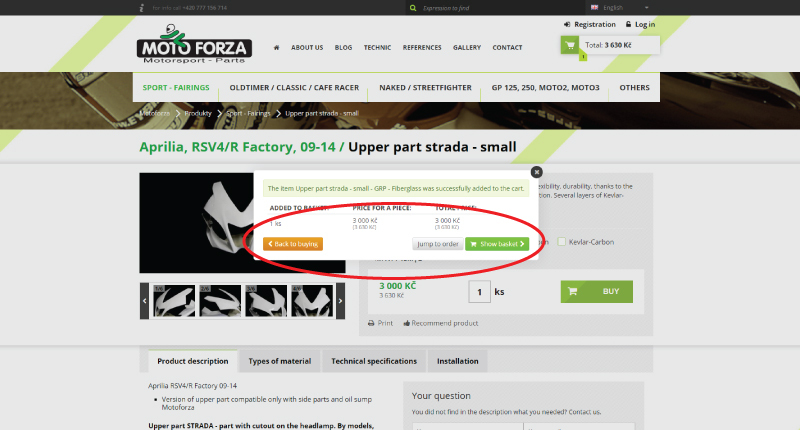 It is possible to adjust the number of items or remove part. 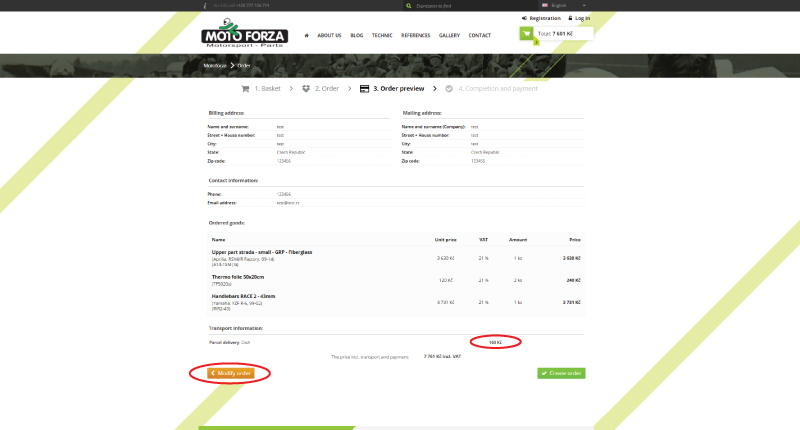 In the cart you see the price of selected items (excluding shipping cost), quantity, name of the part including the ID and final price for the parts. When you have finished selecting parts move to the next point - to create order. 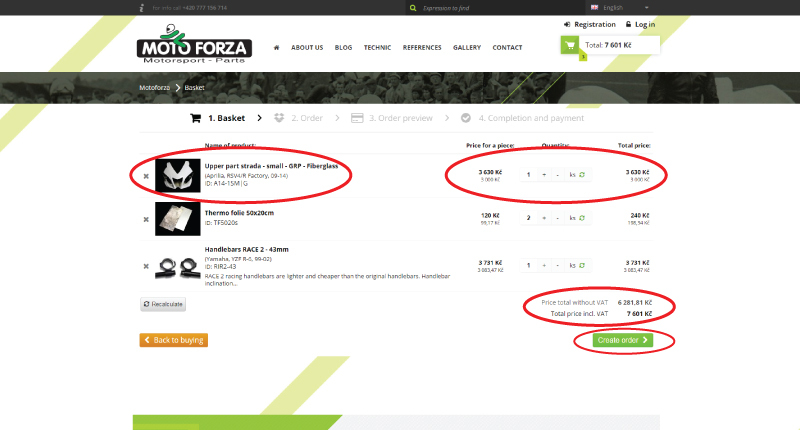 The system will show you the final price, incl. Postage (lower on the site). 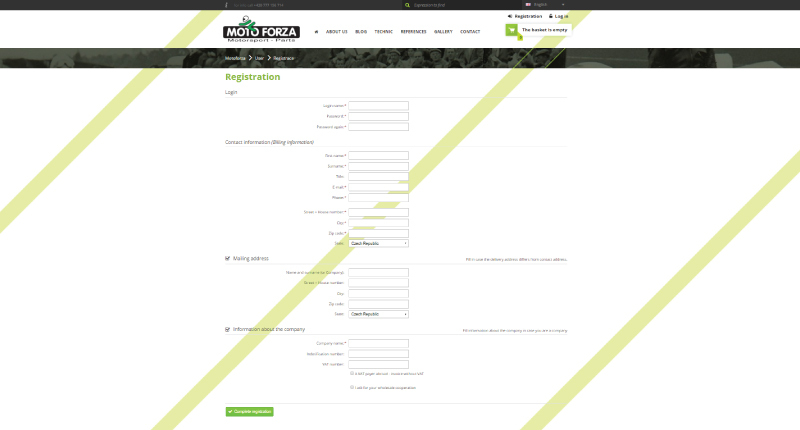 If you are not logged in, fill out a delivery and billing address (if its different from delivery one) fill the contact information, eventualy leave a comment for the Motoforza team. 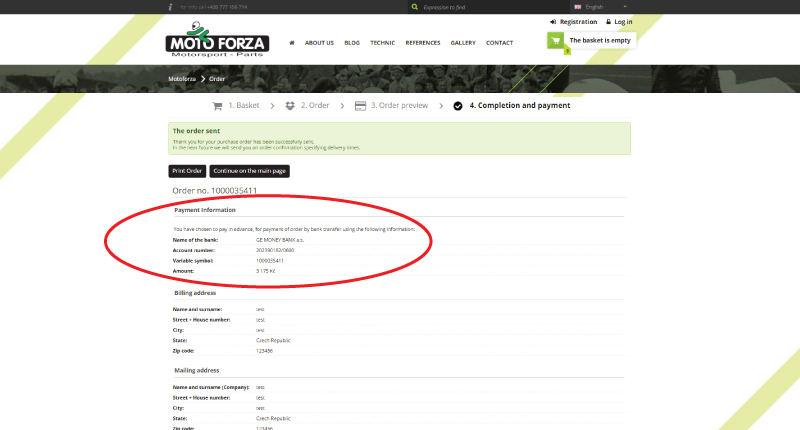 WARNING: if you buy a company, please create registration before purchase and billing information in this section fill in the necessary information about the company or use the "customize ..." (Step No. R). ATTENTION: If you buying like a company and you are paying VAT in your country, it is necessary to fill a valid VAT number (must be in correct format, beginning with ID letters of your country, for example "DE" + certain numbers), otherwise we will invoice you a price including VAT. Here is the recapitulation of the entire order, please check information and your selected products. 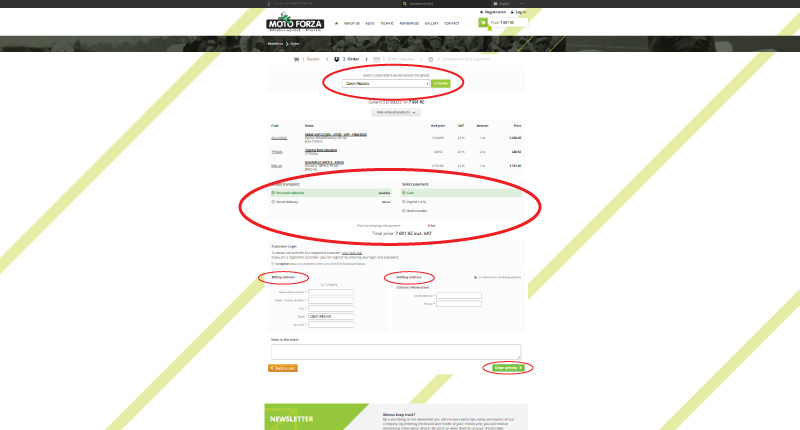 After checking preview of your order, select the button to create order, which will be sent to our team for processing -after completing the order, you make payment for your selected parts. - The system always sends the acknowledgment (email) after accepting the order, which includes: list of the parts, bank information for the bank transfer or email for the Pay Pal payment.